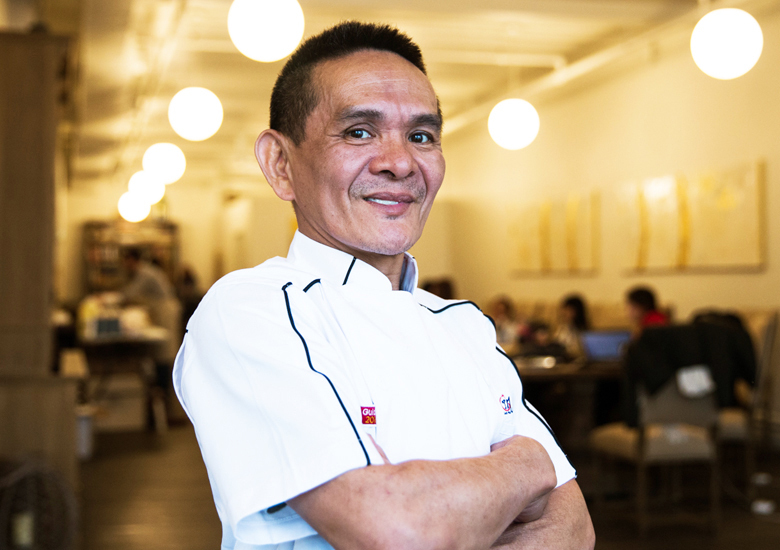 Chef Chan Hon Meng, whose parents were farmers, grew up in a kampong in Ipoh, Malaysia. His family raised livestock and grew produce in the family’s farm. Chef Chan’s culinary journey began during in his daily preparation for the family’s meals. The early exposure to cooking developed his passion to cooking. The foundation of Chef Chan’s culinary passion was based strongly on the belief that good food should be made simple and affordable. At a tender age of 15, he left school and his hometown to Singapore in search of work. During these early years of his apprenticeship under a Hong Kong chef, he learned and developed the soya sauce chicken recipe. In 2009, Chef Chan started Liao Fan Soya Sauce Chicken Rice & Noodle in Chinatown Complex Food Centre. The award of one Michelin Star from Michelin Guide Singapore in July 2016 gave Chef Chan great pride. It was beyond his imagination that his humble soya sauce receipt would be recognized by the most prestigious Michelin Guide and to receive the titles of “The World First Hawker Michelin-starred Meal” and “The Cheapest Michelin-starred Meal In The Word”. Not one to rest on his laurels, Chef Chan resumed his daily work routine the day after the award, continuing the work that had now brought him international acclaim. Daily food preparation is hard work. Chef Chan is required to wake early in the morning to prepare the sauce for marination and to achieve the signature flavor and tenderness, many hours of manual braising adds to his morning routine. Chef Chan only uses premium and fresh ingredients to prepare the dishes daily and firmly believes the consistency in taste and food quality are essential to culinary success. In October 2016, Hersing Culinary formed a partnership with Chef Chan to transform Chef Chan’s original hawker food stall into a quick service concept restaurant. 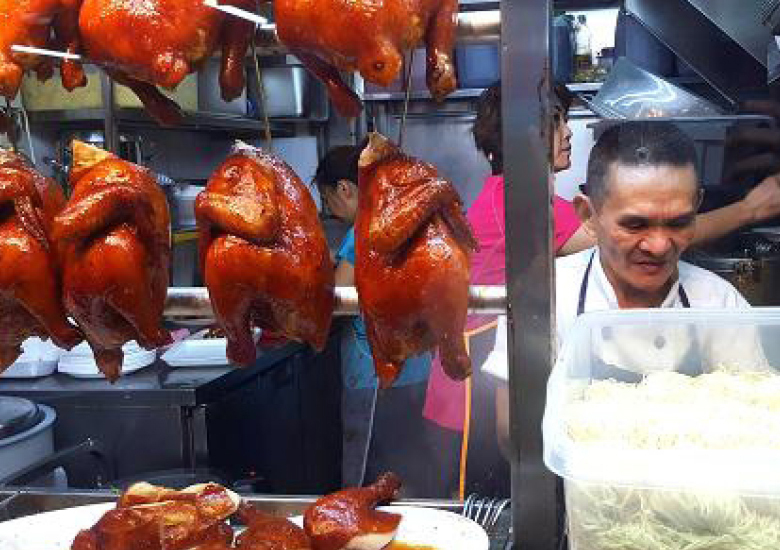 Rebranded as Hawker Chan, the restaurant serves the same soya sauce chicken rice and noodle dishes. The partners look to bring Hawker Chan global and has to date set up 12 franchised restaurants in 6 countries.